The new ROG G703 gaming laptop is equipped with an Intel 8th generation processor and a full-powered NVIDIA GeForce RTX 2080 graphics for amazing desktop-level experiences. 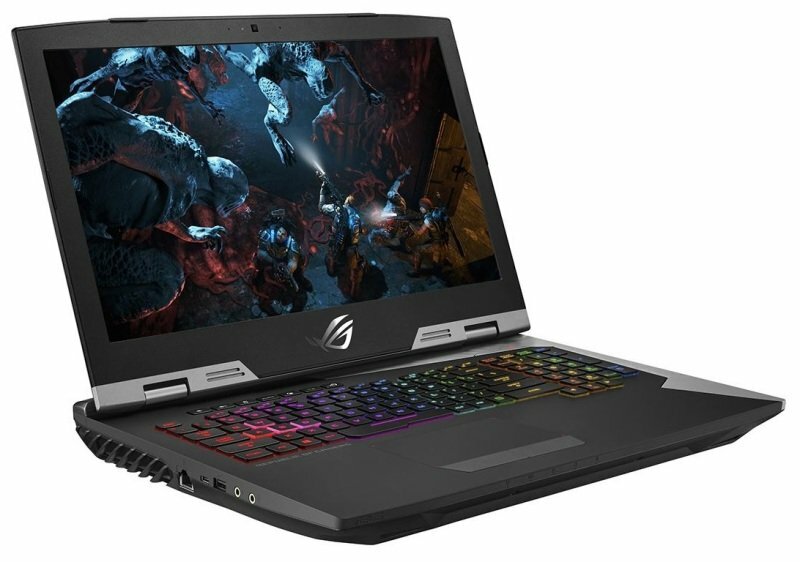 The new G703 packs a 17.3-inch 144Hz 3ms high refresh-rate display, patented ADC (Anti-Dust Cooling) technology, and a Hyper Drive high-speed SSD. The ROG G703GX is built with the gamer in mind. It is, from the inside out, the ultimate armoured fighter. The new G703 is the first ROG device with an ultra-responsive 17.3-inch Full HD IPS-level display with a 144Hz refresh rate. It's powered by up to an 8th Generation Intel® Core™ i9 processor with full-powered GeForce RTX 2080 graphics for the utmost power in portable form factor.